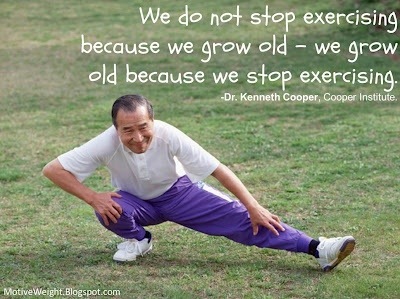 You are never too old to do something about your disappearing muscle! Just because statistics suggest muscle is lost with age – you don’t have to sit back and let it happen. I’m not saying that you go directly to a weight machine and start leg pressing- as this fantastic lady has- she has probably been training for years, and lucky for her has continued her sport and the training that goes with it. 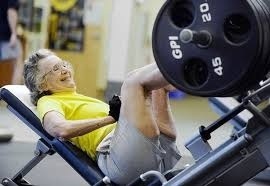 We know that strength training is valuable at any age, I use resistance bands with my Super Seniors. They are easy to use, suit lots of fitness abilities and you can even sit down and get good results. When you are stronger you can progress easily. They are quite cheap, take up no storage space and you can take them with you if you travel. We’ll be recording some band routines soon to give you some ideas of exactly how easy band exercises are….